Hidden Leaks in Your Annapolis Home Could Cost You a Fortune! Since well before the Roman Empire, water leaks have been a problem for civilization. Early on it was an issue of washouts and water loss. Today it is an issue of higher water bills and the potential destruction of your Annapolis home. No matter the reason for the concern, water leakage from a system has always been cause for consternation. There are several ways an occupant of a home can tell there is a water leakage issue. 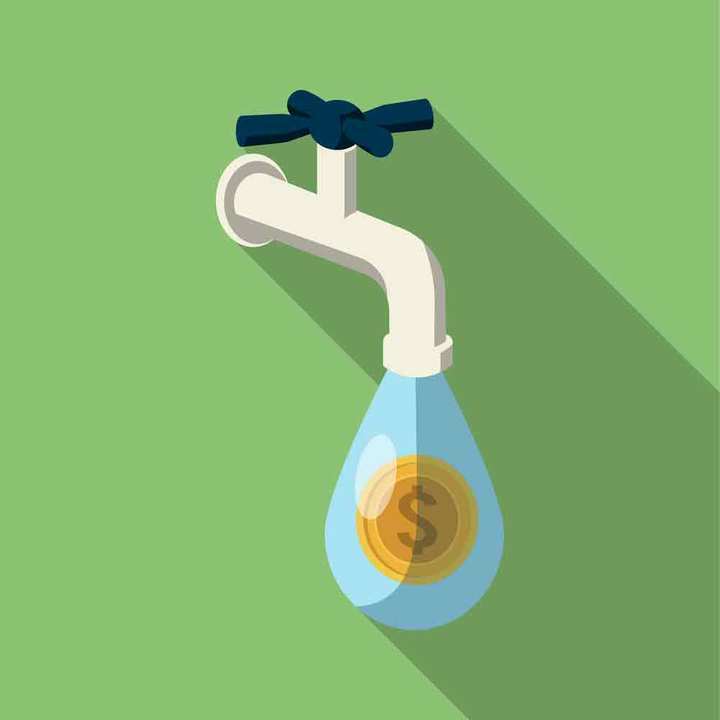 In the modern era, residents and business owners have had to face the water bill. This is a relatively recent phenomenon created by a centralized water system created and maintained by the community for the benefit of its residents. The water bill reflects the volume of water used. Residents and business owners who notice an unexplained increase in the water volume used are likely experiencing a water leak. Checking the bill is a simple way to observe the integrity of the water system. Stains are an indicator of a continuous slow water leak. In ancient times, it took years for stains to develop because of the building materials used. Today’s drywall technology will stain relatively quickly: within months, maybe even days of the time when the leak first occurred. These can be tricky as water can travel quite a distance before dropping from a pipe or other metal component onto drywall material. The nature of drywall encourages water to collect. Drywall has the ability to absorb a significant amount of water from a slow leak before it will stain. Be aware that a drywall stain can indicate a long-lasting leak that is just now showing. Smells that we call “musty” are the creation of molds. Water pipes are hidden behind the walls and floors and ceilings of today’s homes and businesses. A water leak in these hidden areas will never thoroughly dry out creating the ideal environment for mold growth. The active mold must be exposed and dried to be stopped. This is a health hazard and discovery of mysterious “musty” smells should be immediately followed up. “Musty” smells are not normal and should be eliminated as quickly as possible. Given the concept that water is entering the structure within a contained system, it is subject to the Law of Physics which says that the pressure will be the same throughout the system. Thus, any change is water pressure within a closed system is a sure indicator that there is a leak. If the leak is the result of an open tap, then that is a logical result. However, if the system is closed at all possible outflow locations and the pressure is still diminished, there is a leak. The Laws of Physics do not lie. Whether on the floor of a structure or on the grounds surrounding that structure show soft spots, it is a sure indicator of a leak. This can happen quite often in the modern lawn irrigation systems. If an irrigation system is leaking, the fix is usually quite simple as these systems do not normally run beneath structures. However, a soft spot on the floor may indicate a leak a long distance away. Such leaks may be hard to find. Normally, though, soft floors happen around water using appliances and can indicate either a slow leak or a history of over running water. Water system leaks are a historic problem. Discovering, locating and fixing leaks decreases structural damage and unhealthy mold. Don’t be submerged by the water in your Annapolis, MD home. Call Heidler Plumbing at (410) 268-7191 today, and get that water leak repaired now!